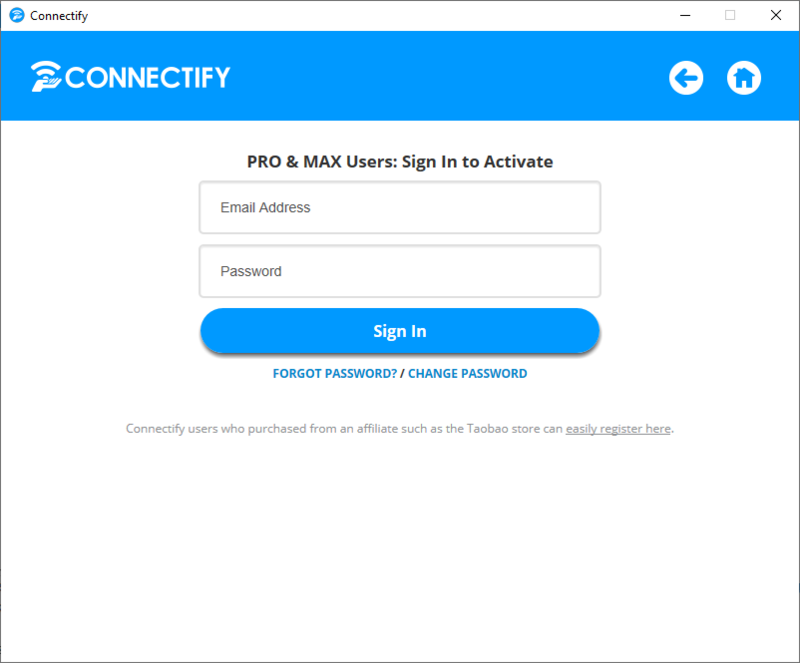 If you are not sure how to sign in or activate Connectify Hotspot please follow this quick guide. Click here to watch the tutorial to show you how to activate your Connectify Hotspot License. Step 1. To activate Connectify Hotspot you will need to click ‘Tools’ at the top of Hotspot’s UI. Under the ‘Tools’ menu, you will want to select ‘Activate License’. Step 2. Of the 2 options select 'Already Bought' to continue to the below screen. Step 3. 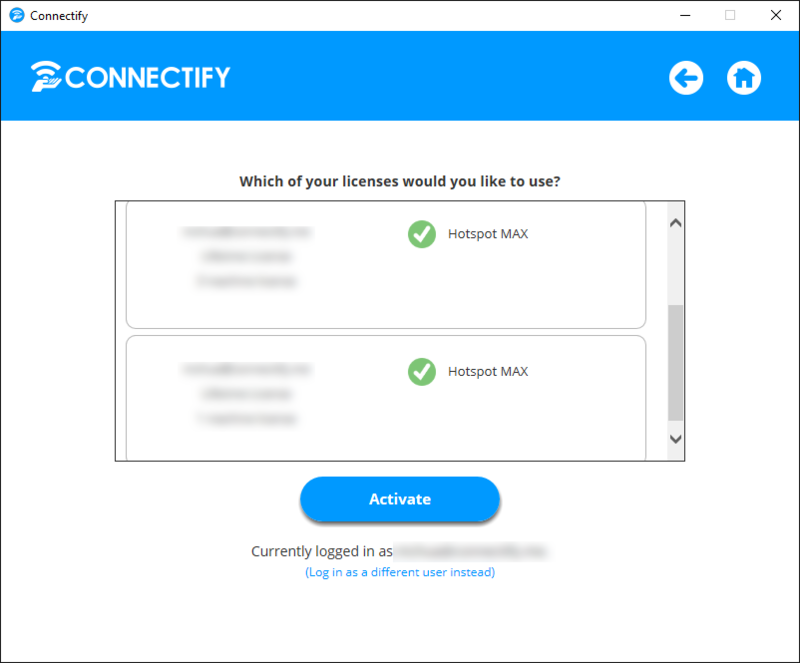 To activate your license you will need to sign in by entering your account information you received after purchasing Connectify Hotspot. If you have forgotten your password simply click on the 'FORGOT YOUR PASSWORD?' link to reset it. NOTE: If you purchased Connectify Hotspot, but do not have an account or you have purchased from an affiliate such as Amazon or Trialpay, then you will need to Create an Account. Depending on your account purchase history you may have multiple licenses (see below). Multiple licenses will not fit on the screen at once so you will be given a scroll bar to select the appropriate license. 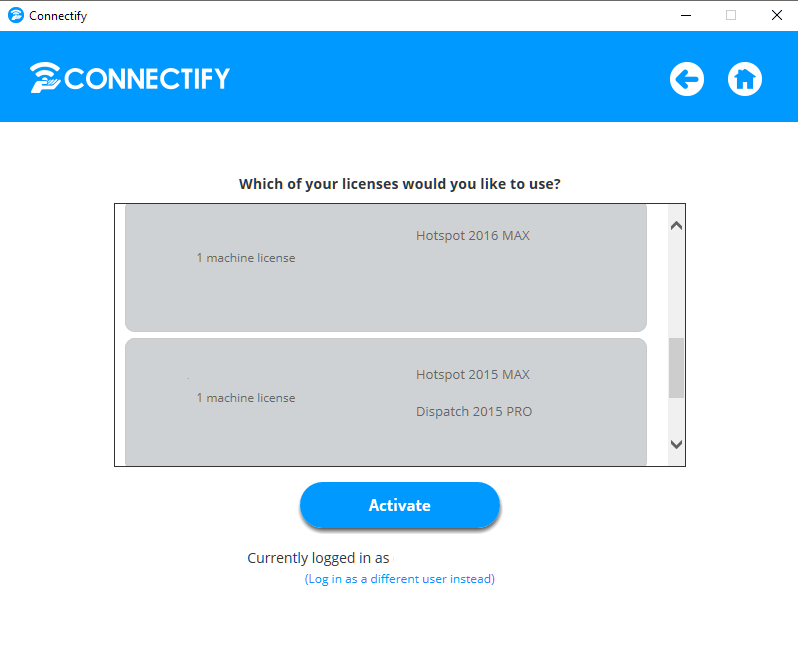 You will also notice that you will not be able to activate a 2015, 2016, or 2017 version license with Connectify Hotspot (2018 or newer) as the license will be grayed out. 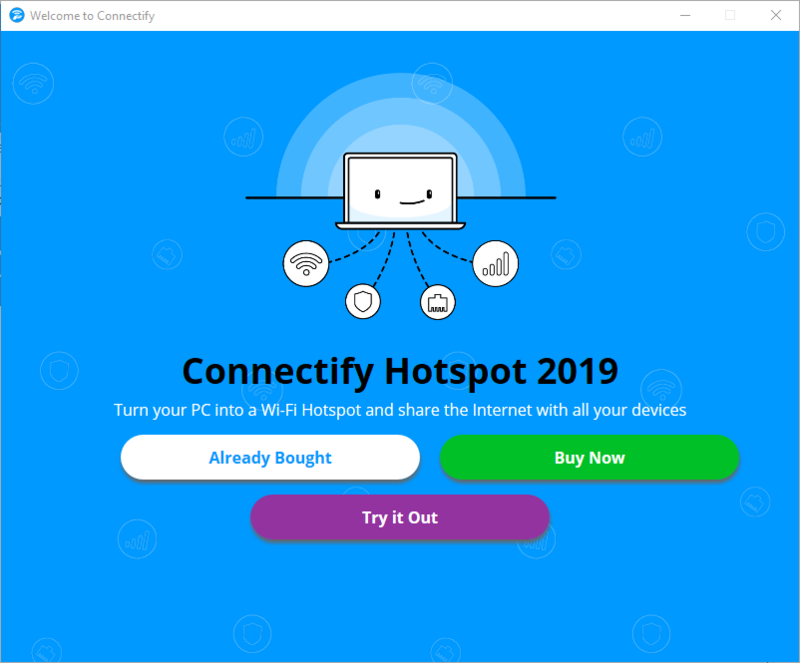 If you are a paid user of the 2016-2017-only version or you are still using 2015 of Hotspot, you can take advantage of a special in-app discount to upgrade to Connectify Hotspot (2018 or newer).